Heavy snow and avalanches left parts of Europe paralysed over the weekend as the number of weather-related deaths rose to at least 21. Ski resorts were closed and mountain villages were shut off after snow blocked transport links and brought down power lines – with more expected from Saturday night until Monday morning. The UK Foreign Office has issued a warning to British tourists headed to Austria, where military helicopters flew 66 teenagers to safety after they were stuck in a mountain guest house for several days. 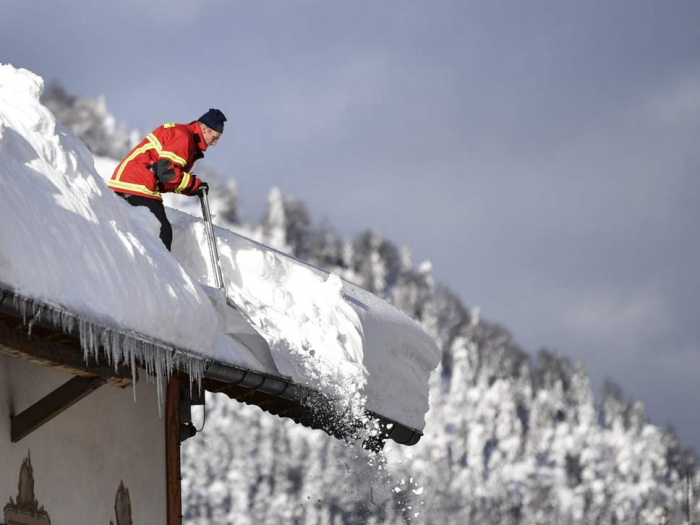 In Switzerland workers spent hours shovelling snow out of the Hotel Saentisin Schwaegalp on Friday after a 300m-wide avalanche smashed through the windows into the restaurant. Three people were injured. Two snowboarders were killed in an avalanche in Bulgaria’s Pirin mountains on Friday and a 48 year-old snowplough driver died after falling into a river south of Munich in Germany. The governor of Bavaria in southern Germany said that 5,000 people were involved in responding to the situation in the state, where workers took advantage of a break in the weather on Saturday morning to clear snow from roads and roofs. "There's no need for panic, but there are grounds for serious concern," said Markus Söder after meeting rescue workers in Bad Tölz. In Albania, where an electrical worker suffered a fatal heart attack while repairing damaged power lines, around 2,000 soldiers and emergency workers battled to reach people trapped by snow. Several towns and cities in southwest Serbia introduced emergency measures as snow piled up on the roads and sealed off mountain villages and ten people had to be rescued from their homes. Further snowfall is expected from Saturday night until Monday morning and avalanche warnings have been issued for several regions including the Tirol in western Austria. At least 21 weather-related deaths have been reported in Europe since the start of the New Year. They include an Australian teenager, Max Meyer, who died after being caught in an avalanche while skiing in St Anton am Arlberg in Austria on Wednesday.